We were up and at ‘em Friday morning, making sure to hit the breakfast buffet at the Black Bear Lodge before starting our crazy day. It was good, especially Karen’s waffle. I think I’ll have one of those tomorrow. We decided to head for the docks and find Arctic Star and Steve Jackman, our “host” at the docks who was responsible for cleaning and doing some quick boat maintenance. We found both right away. Steve is a great guy who runs multiple businesses in Port McNeill, and he had lots of information to share. 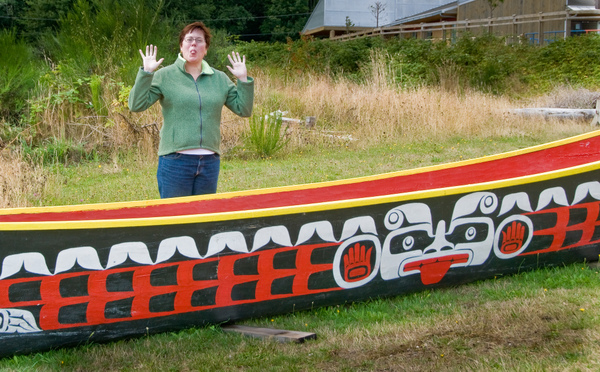 Because he had things well in hand and we couldn’t get aboard till later, we decided to spend our day in Alert Bay. It's the location of an Indian reservation with the renowned U’mista Cultural Center that showcases many Indian artifacts. 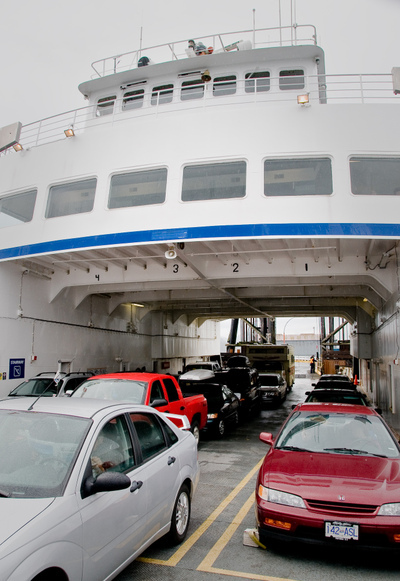 The ferry ride was an easy one – it took about 45 minutes from Port McNeill to Alert Bay. The ferry carries about 30 cars or so, this one wasn’t quite full. 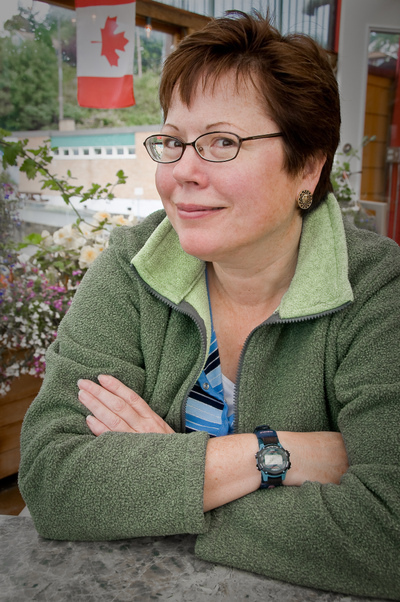 When we disembarked, we headed right to the Visitors Information Center to get the lay of the land. 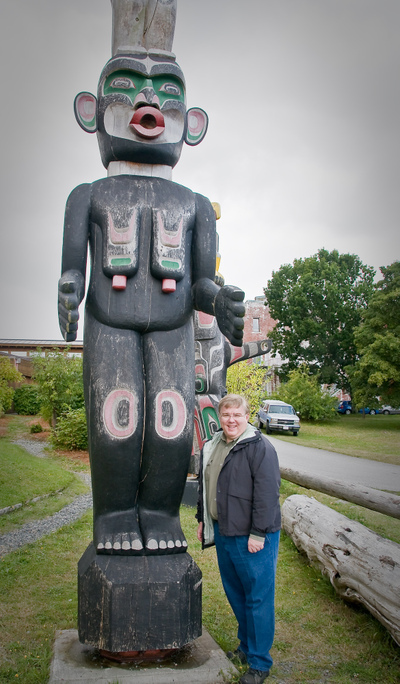 After a quick lunch, we headed out to see some old totem poles and then to the U’mista Cultural Center. The Center was amazing. 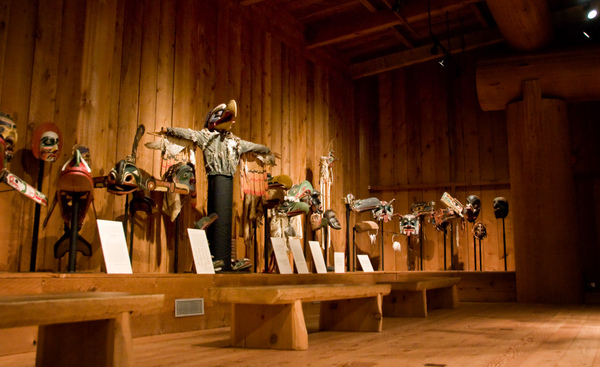 Built in the 80’s to house a just-returned collection of Potlatch items (especially masks), the Center is a source of great pride to the tribe. 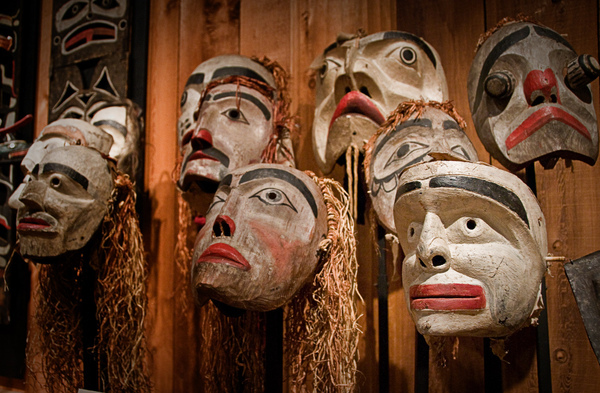 There was a great introductory video that explained history behind the Center and the impetus for the Canadian Government to return the “stolen” collection of items to the Indians. After that, we drove up to the Ecological Reserve to walk through the rainforest a bit before heading back to Port McNeill. 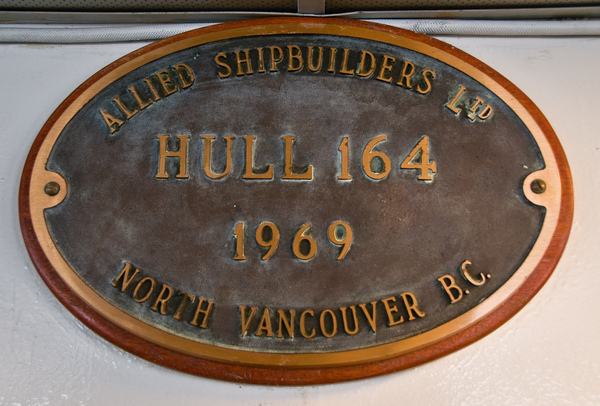 If we had it to do again, we’d arrange it so we had more time…but we had to return to get the keys to Arctic Star and start provisioning. After a long day, we had a quick bite at the Harbour Lights restaurant, which was really good, before doing a load of laundry and turning in for the evening.